Zoey's fashion sense goes to the dogs--in the best possible way! Includes "Sew Zoey" blog posts and fashion illustrations. When Aunt Lulu goes out of town Zoey's family takes care of her fourteen-year-old dog, Draper. 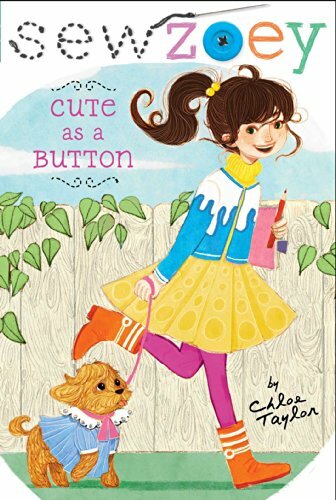 Zoey dresses Draper in adorable homemade outfits for his daily walks, and when the fashionable doggie duds start getting attention in the neighborhood, Zoey finds herself swamped with requests to make pet clothes. How will she keep up with the demand on her small fabric budget and with limited time? With a little help from her friends, family, fans, and a cute-as-a-button puppy!